I set myself an almost impossible task when I decided I needed an MBA to help me break through the glass ceiling. With four children, several part-time jobs and a farm that could not afford extra labour, I decided to study externally through the Curtin Graduate School of Business. I took five years to almost complete a one year course. Then I discovered that an MBA was out of my reach, as two of the units were only delivered in Perth. Nevertheless the experience was amazing and Curtin staff were so tolerant and understanding of all the others pressures in my life that made me miss the occasional deadline. My time at the Shanghai University of Finance and Economics with Anna Rowe and other MBA students was inspiring and a watershed in my life. In Shanghai one of my fellow students asked me “when are you going to go into politics?” I had really not thought of it up until then, but the knowledge, confidence and breadth of experience I gained through my course inspired me to try and make a difference for people who live and work in regional WA. I took on the role of State President of The Nationals WA (the first female to do so) and used my new knowledge to bring the party from a dire financial situation to solvency. I worked with Brendon Grylls to develop the Royalties for Regions policy and found myself in Parliament, successfully winning three different seats. 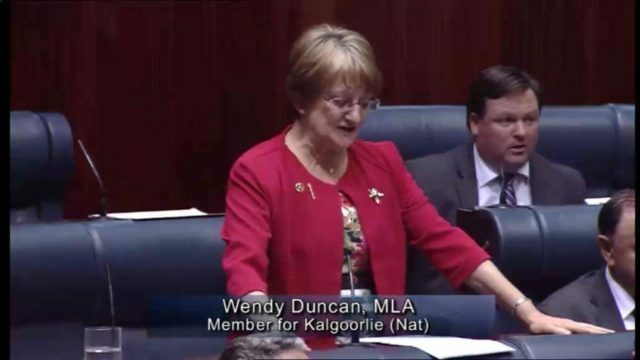 I became the first female leader of The Nationals in the Legislative Council, Parliamentary Secretary to the Minister for Regional Development and Deputy Speaker of the Legislative Assembly. My Graduate Diploma of Business from Curtin University moved my career to a whole new level.